The Record, the oldest law school newspaper in the country, relies on donations to continue publishing, and we would be extremely grateful if you could donate — even a small amount. ON THE RECORD: How has the world of legal services changed during your career? JEANNE CHARN: My introduction to legal services was in the mid 1960s when the federal legal services program was just getting started. One of the earliest grants was to Harvard Law School for a neighborhood clinic and it was vaguely about what can students contribute to legal services and I was a 1L. And I volunteered. OTR: What about the substance of the work? Did HLAB have a different approach? JC: There were differences. [HLAB had] a service orientation. There’s a huge amount to be said for that. The goals of the Office of Economic Opportunity program were community mobilization, community involvement, social change, and work that would alleviate poverty. That was how you assessed what you did. So, we weren’t on campus, we were down in what was called Area Four, down on Broadway, in a little three decker house. We wanted to be near the neighborhood organizing groups and there was a lot of community mobilization. I got involved with organized tenant groups in Somerville, here [in Cambridge] we represented community health centers, we were representing a head start program, rent control was coming to Massachusetts, we wrote an amicus brief in support of the rent control law. So, it was a very different orientation. [What I] loved [was] the community based, bottom up stuff. So, that was the goal of legal services in the 60s. It was led. One of the things I always do in my classes is to always put in a quote from the first president of OEO legal services, Clint Bamberger, that says “We’re not about just helping people. We’re about relieving the conditions of poverty.” This is something he said to the conference of Bar Presidents and it was accepted that you would say that and that’s what things would be about. OTR: How did you get your first job out of law school? JC: I wanted to do policy work in government and was very interested in foreign affairs and was offered a job in the legal advisor’s office at the State Department. Partly because I would have been working for Henry Kissinger, and by then I was against the Vietnam War, but I loved what I was doing and I had a ton of clients. I had like 30-40 clients all through law school, so the office hired me just to keep the work going. There were also jobs and money for legal services. The economic base was different. OTR: Was that primarily because of the new influx of federal money? JC: Yeah. Two things. Gideon came down in 1963, so you had to put money into defender work, so those jobs were growing. And OEO legal services. There were about 400 full-time lawyers in the country before OEO came along. By ‘71 or ‘72 there were 4,000 jobs. We were graduating about 25,000 law students a year in the [entire] country, so with 4,000 new jobs in public service it wasn’t hard to get a job. They were out there. And my job paid $10-11,000 a year but downtown firms were paying $23,000 or 24,000. Those were 1970s dollars so the gap had not grown to what it was. In all of those respects the world was different. Now, the social context was completely different also. We were mainly running budget surpluses, there was money, and there was tremendous upheaval and violence. Political assassinations, neighborhoods being burned. Law looks really good when that is the choice. OTR: For young people specifically? JC: For young people and to the country as a whole. Remember Barry Goldwater runs, there is a conservative movement in the US, he runs against Johnson in 64, and he loses in a landslide. And given the extremes of upheaval that were going on in the country, channeling dissent and upset into legal claims and means seemed plausible as opposed to burning down your neighborhood. OTR: I see. But it was a given that something had to change. JC: Something had to change. And its not an accident that [we’re talking about] the last big period of social legislation that really changed the social floor in the US. So the experience of being in it then was that we were going to turn a big corner. I remember getting advice from my mentors at the time about what I was going to do when I was 40 because I thought this stuff would largely be taken care of, and legal work would be routine [by then]. I couldn’t see around corners any better than anybody else and what happened was the conservative movement turned out to be durable and stronger than any of us imagined. We thought things were over with Goldwater. Economic conditions changed. It was a miserable economy, the 60s reform fervor fades and we begin to focus on crime. And there’s tremendous pushback on this little legal services program. JC: Yeah. For political reasons. “These young lawyers are not supposed to be out there changing the world. They’re not loyal to their clients. They’re running their own agendas.” And there’s something true to some of those critiques, and I saw some of it. OTR: So the line of that critique was legal aid should be politically neutral, and these people are doing it in a way that is biased? JC: Yes. Exactly. But there was a kind of hubris. It was part of the times, it was part of the front end of the baby boomers being mobilized around a lot of issues, being young, thinking you could fix everything, so it was a mixed picture. And the pushback came around: the game of law is to get it right. Not to use law strategically or instrumentally to leverage much bigger issues, though of course it is used that way all the time by powerful interests and we saw ourselves as balancing that out. OTR: Did the Reagan era bring with it a change in consciousness that caused more students to feel good about going to work at big corporate firms? JC: I don’t think it’s that different. But I do think that you’re right in some respects. One of the things that happened is that the 80s into the 90s are an era of unprecedented growth of large firms. There were many more jobs there. And jobs in public service [during this period] are stagnating. Salaries are stagnating. The gaps are growing and those aren’t matters of personal choice, because the whole incentive structure is also changing. Elite law schools haven’t gotten bigger. But there was huge growth down the status hierarchy. We opened up seats. We had, at the peak, 40,000 law students. When I graduated in 1970 there were 20,000 law students. And we added 20,000 to that. OTR: And those new students are absorbed primarily through the expansion of the private sector and the big firms? JC: Yeah. As the firms need more [people] they upgrade the status of many schools down the hierarchy because even if they hire the entire class from the top four or five schools they won’t have enough. The law school debate goes in too simplistic a frame a lot of the time. It’s about the values of the individual law student. And the story is that either the market or something in school corrupts. No, the context is changing all the time. In the big firms there has always been a cadre of professionals that were progressive, totally supportive of access [to justice], and saw that it was important to have friends in positions of authority and power. The firms have been big supporters from their own pockets. OTR: Have these changes in the market had an effect on the students? JC: Student culture changes. But I sort of like the student culture of today. There had been a left that hung on for a long time and became, I thought, around here, kind of surly and grim in the 80s and 90s. I now see much more wonkish, policy-oriented, thoughtful progressives. They maybe aren’t as left, although I like the Unbound kids too. I think there’s a new left, that can think in economic model terms and make constructive critiques and comments of some of the dogma of centrist and right-wing economics. OTR: What is the new relationship between a young progressive lawyer and this new political consciousness? What can we do as lawyers? JC: [The question is also] what can we do as law schools? One of the things we can do is to much more actively engage and be much more connected to the practicing bar. The legal profession is undergoing big changes. There are non-traditional competitors out there in all sectors of the bar. Legal process outsourcing at the top, but the small nonprofit, [which is] vital, may be much less efficient than it should be. It isn’t under pressure. So some of these managerial tools that can make some lefties cringe, I think there’s a way of reconfiguring to [use in the legal services sector]. It’s a new kind of instrumentalism. Do we care by what means people get help if they get help and it works for them? We need a much more sophisticated understanding of the legal system. We need to think about process-engineering legal services. In contrast to that we have a civil Gideon movement, which is “get a lawyer for everybody.” That takes emphasis away from looking at the whole legal system and asking how we can change the processing side as well as. OTR: But you’re laying out something that doesn’t sound all that dissimilar, on the surface, from a standard neoliberal retooling of an existing government service. That seems like something that is usually a cover for the wrong kind of politics. JC: Or [a cover for] cutting back on funding. Or doing the least you have to do. It could be that. I do understand that. We can’t, as a matter of debate, make things better. That risk is there. But there’s a risk on the “lawyers for everybody” side. One, its unrealistic, and two, what kind of world is that? I’m not sure I see it as a utopia. What’s wrong with thinking about self-empowered citizens who have access to more knowledge and following what they want to do? Another way of looking at it is to [admit] that critiques from the center and the right had some good points. We didn’t have it all right. I’m at root a pragmatist. There are left pragmatists. I want data. A real pragmatist doesn’t wed themselves to an institution or to a mode of doing things. THE SOCRATIC METHOD: What do you see as the crisis in the legal profession today? 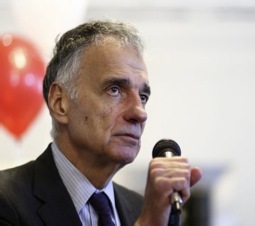 RALPH NADER: The principal crisis is that the rule of law is being massively distorted by the rule of power, thereby restricting access to justice and creating a plutocratic political economy where the few rule the many. TSM: How does this connect to broader inequality in society? How much of this is the legal profession as the cause, and how much of this is a result of other broader inequalities? RN: Well the legal profession should be the first responders because they are trained to understand the difference between raw power and the rule of law. And they see it everywhere. And there’s 1.2 million licensed attorneys in the United States so they are everywhere – local, state, federal, international. And so they bear the primary responsibility to defend the rule of law and expand its benefits. Alfred North Whitehead, the British scientist-mathematician, once said that if you have power, if you have influence, if you have the ability to change conditions, there’s a moral imperative to do so. And this is doubly the case with lawyers because they are given a monopoly to represent people in courts of law. TSM: You’ve spoken in the past about the difference between lawyers and attorneys. Could you discuss that difference? RN: Yes, I think members of the bar have two roles. One, attorneys for clients, which they are urged to represent vigorously. And the other is as lawyers committed to the advancement of justice in society. And the latter role reflects their status as officers of the court. When you are admitted to the bar, you are an officer of the court. So the question is what does that mean in terms of responsibility. We know what it means in terms of benefits. You have a monopoly to represent clients. But we haven’t worked out the responsibility. The most minimal responsibility is to have lawyers represent indigent clients. So, regardless of what your practice is, a modest portion of your time should be to represent indigent clients. So that’s the difference. TSM: Is this an individual, or a collective, responsibility of lawyers? RN: You can’t do it all individually. You have to do it collectively. If you look at a bar association code of ethics closely, you’ll see a sentence here and a sentence there that reflects the duty as lawyers. Different codes of ethics use words like ‘administration of justice’. For example the criminal courts are in a mess in our country, ending up with the mess that’s our prison-industrial complex. Well, that’s a responsibility of the legal profession. Not exclusively the responsibility, but who knows more about it on a day-to-day basis? That’s why you have to hold them to the first responder responsibility. Always keep in mind they have been given a legal monopoly and they are officers of the court. So those entail certain responsibilities, which are not taught and obviously not widely exercised. TSM: It’s been about fifteen years since you wrote about these issues in No Contest. Do you think things are getting worse or better? RN: In the area of the corporate law firm it has gotten worse. The power of these corporate lawyers is hard to overestimate, because they latch themselves to continually more powerful global corporations. And the more powerful the corporations are, the more brokering of that power accrues to the big law firms. As a result you are seeing a new movement called the inversion movement, where a US corporation, Applied Materials, for example, is merging with a Japanese company to reduce competition and they are rechartering themselves in the Netherlands for tax and other purposes. Now we never saw that fifteen years ago, and that’s a trend now. US chartered corporations leaving our country for profitable advantage under other nations’ more permissive laws while the same corporations do business in the United States and avail themselves of all the public services and protections of the USA. Another area that’s gotten worse is corporate bankruptcy, which is full of privileges and immunities that do not accrue to individual bankruptcies. A third area is corporate taxation. The effective rate now of corporate taxation is about 12.5%. The nominal legal rate is 35%. And there are many corporations, like General Electric, that pay no income taxes on billions of dollars of US-generated profits, and actually have so gamed the system via their corporate tax attorneys that they get checks back from the treasury. So in some years for example, General Electric paid zero income tax on billions of dollars of US-generated profit, and got a $2-3 billion check from the treasury. So it’s just getting worse and worse. TSM: How plausible is Harvard Law School as a site of response to these problems, given how much of Harvard’s funding comes directly, or indirectly via students, from corporate law firms? RN: I think it’s very plausible. If students take matters into their own hands, and connect with supportive faculty, they can prevail. Because they have a very strong argument. They have very strong evidence. They can cite everybody from Learned Hand to Louis Brandeis to the head of the American Bar Association that the system is broken. The legal system has become increasingly an instrument of repression itself, because of who is pulling the strings and twisting and turning them. And students now know from their own experience in signing fine print contracts that the very idea they are taught in contracts courses that a contract is a meeting of a mind – you never meet the mind of Google, you never meet the mind of Microsoft. You never meet the mind of Walmart, Citigroup, Bank of America, Prudential Insurance, Sallie Mae. They have almost destroyed the freedom of contract, representing trillions of dollars of purchases by consumers from vendors. Students can organize around that and enrich the curriculum. Contracts of adhesion are not taught for more than one or two classes in a complete contracts course, which is absurd, because while negotiated contracts are the lucrative business of lawyers—contracts between businesses, contracts between labor unions and businesses, contracts between businesses and government—the vast majority of transactions in our country for the vast majority of people are in these fine print contracts. Students can also make a strong argument that the endowment of the law school, which I understand is over a billion dollars, should provide all law students with free legal education. Maybe they want to make exceptions for children of multimillionaires, but by and large there is no reason for loans. There is no reason for debt. There is every reason to basically say that the generosity of alumni and others should provide free legal education. And of course that will increase the diversity of the student population. Whereas now, I have been told, about 60% of the law students don’t need any financial aid and are not on financial aid. Which means they are coming from higher income parentage. TSM: Looking beyond reform of the law school itself, how should students be influencing Harvard Law School to influence the legal profession more broadly? RN: One of the missions of the Harvard Law School should be to create institutions that allow access to justice from all backgrounds, classes and races, like the ACLU and NAACP and more recently the Hispanic civil liberties groups. We need facilities. Rights don’t mean much without remedies. And remedies don’t mean much without facilities. We need legal institutions to deal with biotechnology, to deal with the military budget, to deal with nanotechnology, to deal with the exposure to multiple classes of harm that are afflicting our children. We need to deal with the lawless criminal wars of aggression that are violating our Constitution, statutes and international treaties. And on and on and on. The demand for justice far outstrips the supply. And in our country justice flows through institutions. Look our criminal courts. Look at our prisons. There are very, very few watchdog institutions. Once in a while the ACLU will bring a case. Or the Center for Constitutional Rights. But what they have accomplished is evidence of the need for more. Much more. It was once said that 80% of the legal profession represents 20% of the people. And the Law School should be the leader, because the Law School is the greatest law school in the country. It has the best and the brightest faculty. And if you doubt either of those assertions, just ask them. So you see they have high pretensions, enormous self confidence, great pride in Harvard Law School being number one, but it is not number one in advancing the establishment of institutions that are accessible to people, whether or not they can afford it, or whether or not they know what the injustices are, like letting people know what the downside of nanotechnology or biotech are. People need institutions to represent them in the various regulation, licensing and performance of these tumultuous technologies. 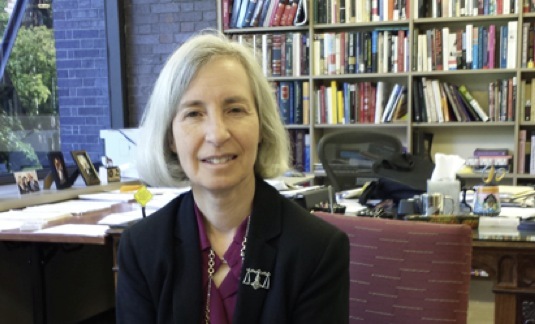 TSM: In a recent interview with the Record, Dean Minow emphasized that Harvard Law School is not an advocacy organization. With that in mind, what do you see specifically as Harvard’s role as in creating these institutions? RN: Harvard Law School, wittingly or unwittingly, operates to entrench the expansion of corporate power over our political economy and citizenry. So there is no way you can be neutral. There is no way you can just sit on the sidelines. Not when you decide who becomes a professor, what kind of courses are taught, what kind of courses are not taught, how you handle the alumni, what kind of corporations you allow on campus to sponsor programs in taxation or other programs when I was there. So institutionally they cannot say they are neutral because they are making choices all the time. Harvard Law School in its constituent parts must step up to the demands for justice in our society and world. And that means creating a climate of knowledge, and a climate of potential contribution. And that is an institutional responsibility, so that you liberate students to have different horizons, different expectations of themselves, in doing what Senator Daniel Webster called the great work of life on earth, which is justice. So when I took tort law, and I’m sitting in the tort class, and we studied automobile personal injury cases, it was all the driver. The analysis was ‘was the driver negligent or not negligent’ and the various embellishments of that. We never got to the car until McPherson v. Buick, sometime in April, when a wheel fell off in 1916 and Cardozo wrote the opinion. In other words, we were dealing with personal injury cases but we were almost never dealing with manufacturing defects of the consumer products that were injuring and killing people. So does the Law School have a responsibility for that? Certainly! They pick the professors, and they allow the curriculum to be empirically undernourished. When you teach criminal law, and you don’t teach corporate crime, which is far more prevalent, produces far more preventable death and injury than street crime, steals far more money from consumers, jeopardizes workers and so on. Hospital induced infections kill 2000 people a week in the US. When you don’t cover corporate crime, that course is empirically starved. In addition, the law school deals with its very influential alumni as if they were just check-writing alumni classes. They bring them up, they have some events, when they have reunions, and they flatter them. They don’t challenge them, and then they invite them to make checks out to Harvard Law School. Well, that is basically allowing a huge resource to be wasted. And one prominent example to the contrary is the Appleseed Foundation, which was founded by one class and started sixteen centers for law and justice. But what if forty classes, after their thirtieth reunion, and thirty-fifth and so on, what if they did the same thing? Well the law school would think that precious money was being diverted into establishing centers for law and justice from the Harvard Alumni Fund and that’s their priority. So they can’t escape responsibility for that. TSM: One theme that has come up in some of the Record’s interviews with professors is that in all of this, the law school is just responding to student preferences. And this is what students want to do, they want to be corporate lawyers and they want to understand economic analysis of law, and so this is what is taught. How would you respond that that? RN: First of all, students come in much more idealistic as 1Ls than they leave. So what happens between 1L and 3L? Well obviously it’s their experience at the Law School that turns them less idealistic. Second, maybe if they recruited different kinds of law students from different kinds of deprived backgrounds around the country they would have higher demands on themselves by these law students. And number three, that is a very, very patronizing approach. That’s Madison Avenue. That’s like saying, “We’re selling sugar because we’re giving people what they want – sweets – including kids”. That results in obesity, high blood pressure and diabetes. So that is not the position of leadership based on wisdom of the old person. That’s just marketing, catering to what I perceive to be a flawed admissions system. Obviously if you are just rolling one generation of upper income families students after another, you’re not going to get the vibrant demands for a more responsive legal profession to the needs of people. Or, in a broader way, to the needs of the people of the world. Law students should be encouraged to commit their minds to the advancement of justice as they see it. Because otherwise Harvard is just a finishing school for corporate practice which can offer the highest salaries. Once you make a statement like that about student preferences, you’re off the hook. You don’t have to do anything, other than have supposedly high intellectual standards and rigor so that the brightest minds out of law school become servants of corporations, so that corporations can become masters of the people instead of their servants, which two centuries ago they were chartered to be. Two centuries ago, corporations in Massachusetts were chartered to serve the people. They were not chartered to be masters of the people. They were given a short leash, they were given public purpose, and they were renewed or not renewed depending on their behavior. That didn’t last much more than a couple decades before corporate lobbyists started shaping the system that we know today. A statement like that is a wonderful provocation for extended debate on campus. TSM: Given all these problems with law schools, would you have any hesitation in advising a young person interested in the public interest in going to law school? RN: I think the greatest change agent profession in our country is the legal profession. First of all, it’s the only profession that synthesizes the knowledge of other professions. Medical, engineering, architectural, financial. They all have to go through the legal profession, so it’s like Grand Central Station. Second, the legal profession is permitted to be generalists, and the other professions are increasingly specialized and therefore they opt out of making moral judgments about what they are doing and the consequences of what they are doing – like nuclear physicists and nuclear engineers. So we have a very important profession here, both to synthesize knowledge into just results and to be able to rise above the microspecialization of our period in history to more generalized treatments so we can ask the most important questions that humanity asks. We’re not specializing ourselves out of it. But it’s very important for there to be a churning, a perturbation, a wave-making at every law school. The improvement of the Harvard Law School curriculum when I was there was heavily attributed to student activists who illuminated both their faculty and their administration during the civil rights, anti Vietnam War, pro women’s rights periods in the 60s and early 70s. It was the students who did that, coming back from summers of civil rights work in the South, for example, or coming back from Vietnam. Students did that. So there are examples in the history of Harvard Law School where organized, knowledgeable, persistent students who asked some good questions about law and justice can make change. TSM: Could you tell us a bit about “Shake ‘Em Up HLS,” the event you’re hosting at HLS on October 24th? RN: Well I think this is a marvelous opportunity to open a lot of windows for law students, regardless if they are 1L, 2L, 3L, into the kind of actions that these experienced presenters – twelve of them – will describe on October 24th. These are twelve major urgent areas in the law that these people have been working on, been changing for the better. Once in a while you get a speaker like that, you never get twelve in one afternoon. So from a time point of view, from the students who keep saying they don’t have enough time, it’s cheaper by the dozen. I would to urge them – they will never forget it if they just take an afternoon off and absorb, ask questions, meet some of these people, and take good notes. They are delivering a lifetime of struggling successfully for justice in areas like international dispute settlement, prevention of wars, pension rights, corporate abuses, and prison-industrial complex, and many other areas. ON THE RECORD: Can you discuss the Constitutional ramifications of programs like the NSA and the NDAA act? 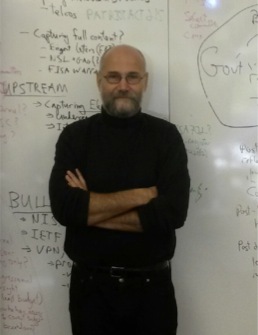 YOCHAI BENKLER: The thing to understand about the NSA surveillance program is that it represents a fundamental inversion of the model at the heart of the fourth amendment: the idea of privacy as a check on government power. We use the term privacy and sometimes we mean vis a vis commercial firms and sometimes we mean vis a vis the state. In either case, they are ways of checking power — either the power of commercial power or the commercial state. In the fourth amendment, the core idea is that the state shouldn’t know too much about us. Large amounts of social behavior and activity need to be outside the gaze of the state. What does that mean? It means that essentially we believe that the state needs to be blind to much of what goes on because we can’t rely on the state perfectly to apply the laws always at the right place at the right time at the right measure with the right level of intensity for all conditions. Instead we have a large opacity and only when the state has reason — articulable reason in advance to look at something specific – do we let the state peek, look inside, and do something. The reason is that law by necessity will be vague, incomplete, there will be gaps, there will be conflicts, there will be ambiguities, and there is a lot of discretion. And in that discretion is where abuse comes. So how does that connect to the question of 5th amendment and due process and particularly vagueness? Nowhere is that clearer than in the material support statute. OTR: Can you elaborate on your last point and discuss the Holder v. Humanitarian Law Project ruling? YB: Material support is so broad and terrorism itself is such a broadly defined set of activities that there’s an entire population of potential subjects that may or may not fall close to the line that are now also under the perfect gaze of the state. 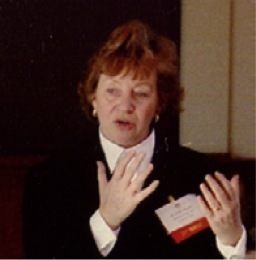 When the state is nearly omniscient and has in its back pocket a set of vague and broad laws – be they terrorism related like material support or computer abuse related like computer fraud and abuse act – this provides enormous freedom of action for prosecutors, for investigators, to go after people in ways that are overzealous, in ways that are abusive, in ways that are simply inappropriate. So we see from the banality of the analysts stalking ex-lovers to the amazing report the ACLU put out in September of FBI abuses in pursuit of domestic advocacy groups. We see enormous scope in these vague laws for abuse. And that enormous scope is then enabled by complete visibility of the state onto the behavior. We’re continued to be told by advocates of the program that with the right levels of the rules, with minimization to the left and FISA court to the right, we’d be able to replicate the protections we had on the fourth amendment while we have the information as opposed to without having the information. We’ve seen repeatedly over the last dozen years that these rules fail. They don’t actually deliver. And they don’t deliver because they represent a fundamental conflict between the commitment of the fourth amendment to keep the state relatively blind and the commitment of the NSA and its professional, competent, honest staff to try to get universal visibility so they can deal with the emergency they perceive as overwhelming. And its this fundamental contradiction between the sense of urgency and emergency of people on the inside and the commitmentof the constitution to keep the state blind in order to keep it limited that is causing this series of failures. And that’s why we also need the solution to be one where we basically step back from the war constitution rather that we tweak the institutions a little bit to the left or a little bit to the right. I think one of the things that has become very clear after 9/11 is that America responded with a panic response. With a response of a kind that you see someone fighting for their lives, throwing aside all rules and trying to do something. And in the first instance this may have been understandable. The torture program was the most extreme, violent program of that lapse. Formatively at least we’ve abandoned it. The system of indefinite detention that we’ve retained in the teeth of the fact that fundamentally you really cannot justify continuing to hold people forever under an indefinite war that has no boundaries and has no time limit and yet we’re stuck with it. We see doctrines develop about the unilateral power of the Presidency to initiate war like behaviors – the drone program, the development of secret law whether it be around surveillance, whether it be around targeting of American citizens, all basically building on the notion that the American public probably can’t handle the politics necessary. But in reality what this does is that it takes the emergency immediate response and turns it into a stable constitution. And when you see in area after area, whether it’s surveillance or drone targeting of U.S. citizens, or indefinite detention, or material assistance as it is applied broadly to practically all Muslim communities. You see a series of events that if you step back for a moment and you don’t deal with the particulars, “oh was it legal under this subsection or that subsection,” but you step back for a moment and you say “stop… is it really reasonable for America to think that forever you can have a system of indefinite suspension somewhere. We can have a system of executive branch only-decision to kill Americans. We can have a system that applies to things that are basically straight speech and assembly counting as forms of terrorism in America by Americans with no real direct or imminent threat simply because of the potential that maybe they’ll help a terrorist organizations shift resources somewhere else – even a terrorist organization that is not really directed at the U.S. but at some remote ally. That is what was so powerful about humanitarian law project. There you have organizations – one was Kurdistan Workers Party, the other the Liberation Tigers of Tamil Eelam, neither of which had anything to do with the United States. You had an organization whose sole role was to teach them peaceful dispute resolution and interacting with U.N. aid organizations. That was sufficiently close to terrorism that the Supreme Court held that they could be within the material support statute. That’s not really an American constitution we can recognize. OTR: Can you speak a bit about how you came to be a key witness for the Manning trial? in certain branches of entertainment, in software. Decentralization complimented by multiple business models, and organizational models, both social and commercial. And wikileaks was a particularly interesting example – one that I agreed to write a piece for the CL-CR journal. And then the embassy cables broke out, the attack on wikileaks on multiple dimensions – on their storage, communications, on their payments systems occurred, and I spent a lot of time writing up an article on wikileaks. At the time I was primarily focused on the journalism side, not the whistleblowing side. Then when I saw the treatment of Manning during the first year of his imprisonment, I organized a letter of 300 professors protest- ing the conditions of his incarceration. In that context, his defense turned to me asked me if I would testify… if I could testify particularly on the context of aiding the enemy… on what Wikileaks was like and what the nature of the fourth estate had become. Because what was important at the time was what Manning did in regard to aiding the enemy charge was what any other whistleblower or leaker will do: turn to the press… and that there was no reasonable distinction to be made between Manning and someone who had leaked to the NY Times. And this was important because it was important to establish that the aiding the enemy charge here was essentially leveled under conditions that would’ve made it available as against any leaker, certainly against any leaker subject to the military code, but aiding the enemy is not necessarily limited to those subject to the code. So I spent a bit of time preparing and the testimony itself was interesting. It was a challenging four or so hours of back and forth, particularly with the prosecution. But I think it allowed me to make very clear that a reasonable person looking at wikileaks from the prospective of late 2009, early 2010, would have seen an edgy online journalism source that had broken dozens of stories. Many of which, most of which, had nothing to do with the United States. They would have seen an organization that even the Pentagon’s own report on it kept using the terms “correspondent, journalist, editor, opinion piece,” with regard to pieces on Wikileaks. And when they challenged wikileaks it was never on accuracy but rather on the substance of whether they agreed or disagreed with the argument. So even a reasonable reader of the Pentagon’s memo itself on wikileaks would have come away understanding that this was a new media organization. And that was the substance of the testimony. OTR: Could you discuss the role New Media plays in the 21st century and the future of Journalism? YB: I think a core feature of network economy is the radical decentralization of the capital necessary to produce, process, and store and communicate information, knowledge and culture. This is true for software, it’s true for music, it’s true for video, and relatively later in the game it became true for journalism. We now see a wider array of strategies being deployed to provide the basic thing we call “the news of the day.” Some of it is purely social and voluntary – we see this when people capture videos of riots. We see this when people capture abuses by police in Occupy or in Tahrir Square. Some of this happens with people who are politically motivated, engaged with people who are particularly motivated and engaged in a recreation of the party presses like the Daily Cause or Town Hall. Some of it is small-scale commercial like snopes.com or talking points memo where you essentially have a very small scale organization doing an outsized job able to sustain itself on a low cost low returns model rather than the very high costs, high return model of the traditional media. And some of the traditional media, like the Times, continue and grow and reach to an international English reading audience. Perhaps in this regard the most interesting example is the Guardian which moved from being a respected UK publication into being one of the top ten news outlets read in the United States, with many more readers in the U.S. than in the U.K. So the network fourth estate really now combine all of these components put together. We see organizations anchored in academic institutions like factcheck.org or media matters that are focused specifically on fact checking and media criticisms. We see experts who may be academics or may be in think tanks creating outlets that become much more professional. You can agree or disagree with them. the traditionalist hanging on for dear life to the concept that you can only give reporters privilege to people who make a living or somehow make money off of journalism and refuse to recognize the incredibly important role that amateur journalists and people who are not journalists but nonetheless report on specific issues and become major experts play. 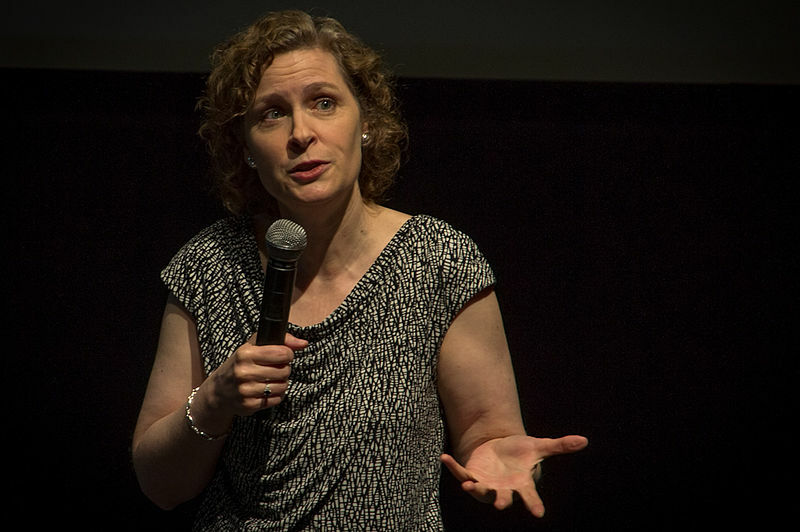 There’s no question for example that Alexa O’Brien played a larger role in reporting on the Manning trial and provided more professional and thoughtful and really deep understanding of the case than any of the traditional media because she was there following it the entire time. She understood the context. And any law or framework that ignores the journalistic role that she played in covering that case simply misses the critical component of what journalism is today. OTR: Could you discuss some of the pressures modern day journalists face in this country? YB: The most important pressures that American journalists face today has to do with national security reporting and the efforts to prevent public exposure and public criticism of the war constitution and the way that it’s applied. Whether it be on drone strikes, whether it be on indefinite detention, or mostly what’s on everybody’s mind today: surveillance. Primarily that means the question of the investigations of journalists —We saw the public outcry over the subpoenaing of phone records of the associated press, over the affidavit claiming that that fox news reporter Jamie Rosen was a coconspirator in espionage act violations, and we saw the threat of incarceration and subpoena for James Risen over the leak. So the question then becomes how much we actually protect journalists and their sources in the national security area from the state and its power to prosecute them and their sources. And the question is how broadly that protection covers. And the second question is what we do with whistleblowers and whether we give any protection to whistleblowers and if we do whether we limit it to traditional media. What we are seeing today in the efforts in congress is a relatively strong emphasis on defending traditional media although not as much as I think we need. We are also seeing a willingness to throw the online journalists who are not fulltime journalists under the bus. We see this very clearly in Senator Feinstein’s attempt to limit the Schumer bill. We see it very crisply in the house bill that explicitly requires that you make money to be protected. Nonetheless both the Schumer bill and the bill in the House have very strong components that if you do a little mix and match could actually provide coverage to journalism as a function. The critical thing to understand is that journalism is no longer an organization or business model. Journalism is a social function. If you collect news that is relevant to the public and disseminate it with the intent to disseminate it to the public you are fulfilling the function of journalism. It is that social function that the first amendment freedom of the press protects. It is that social function that the law needs to protect. It is that social function that we need as a democracy. If we take some portions of the house bill and we get rid of some limitations of the senate bill we can have a truly powerful bill that will cover all acts of journalism. Acts of journalism rather than journalists: that’s what we need to protect. We have the tools, it’s not clear that we have the political will. We need to keep pushing for protection for journalism as a function rather than journalism as a class of paid professionals. 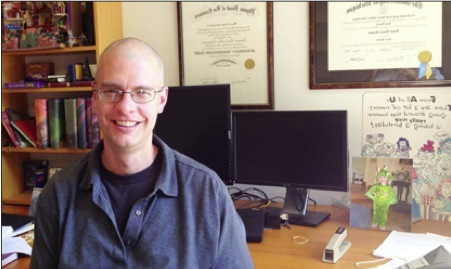 TSM: As you know, the HL Record is doing a series of interviews on legal education and the role of Harvard Law School. HLS is clearly more than just a training school. What do you see as the broader purpose of Harvard Law School? MM: You’re absolutely right. Harvard Law School is an extraordinary institution that prepares people for leadership in all sectors of society all over the world. It’s also an engine for research and setting agendas for justice and institutional reform. TSM: In terms of setting agendas for justice, it seems obvious to me that the legal profession is in a kind of crisis, where the vast majority of Americans have no access to legal resources whatsoever, and there is an enormous quantity of legal resources devoted to a very small percent of the population. What can Harvard Law School do about this? MM: The crisis is worse than that because then there is also a claim that legal services are even too expensive for those who can pay for them. And there is turmoil, therefore, in the structures of the law firms which have themselves been a source of pro bono work to remedy the lack of access. They are now feeling very squeezed, and their ability to contribute is under more pressure. We host the Program on the Legal Profession, which is a major source of research about developments in the profession, and over the last four years has convened people from around the world to explore different models for delivering legal services, to examine the changes in the profession, and to support global research. A major focus of the GLEE [Globalization, Lawyers and Emerging Economies] project, which is headed up by David Wilkins, is to study pro bono globally and to try to develop better models that can be shared and exported. But pro bono alone is simply insufficient for closing the gap in access to justice, which I know well because I serve as the vice chair of the legal services corporation and spend a considerable amount of my time on that issue. I have co-chaired for two years the national task force to develop new models, we are currently working on implementing new approaches. Harvard Law School has been deeply involved in that, helping with the research, hosting events and so forth. In addition to pro bono though, we absolutely need to work on different kinds of funding streams and different kinds of career paths. Some of which, frankly, may well involve people who have training less than a JD. And that’s something that I and others—especially Chief Judge Jonathan Lipmann in New York—are exploring. TSM: Do you think that Harvard has an advocacy role in this in addition to the research role, given its dominance and influence in the legal profession? MM: Harvard is not an advocacy organization. We’re an educational institution and we don’t take positions on issues about which there are obviously as many viewpoints as there are faculty members. I personally am an advocate for access to justice. I have been and I will continue to be. TSM: So you think that maybe you personally have a bigger platform in this, but you’re not speaking for the faculty or for the law school as an institution? MM: I put the resources of the institution in play in hosting events and trying to put topics on the agenda, but if it comes to endorsing a particular proposal or advocating for particular solutions, we’re not set up to do that. We are not a think tank. We’re not a legislative body. TSM: I want to ask about student career choices. Harvard Law School, I would guess, offers unmatched career support for students who want to go into public interest work or private sector work or government work. Could you discuss the changes there have been in your time, and what needs to change going forward? MM: I became Dean in 2009, just as we began to feel the full impact of the national financial crisis, and while we had to engage in budget cuts, the only things that I grew were career advising, on both the public side and the private firm side. And it has continued to be a priority for me and for the school, and that includes the launch of the Public Service Venture Fund, very much a deliberate decision at a time of financial austerity to make resources available to students who have good ideas about public service. And we have also maintained our need-blind admissions, and we also have maintained our loan forgiveness program, which has tripled in the past ten years in terms of the uptake. And we’re very committed to that. It is financially a very, very, big commitment to forgive the loans of anyone who pursues a public service career. And I’m glad that we’ve been able to do it. Financial aid and making sure that any student can pursue any career option are my top priorities as Dean. TSM: Professor Dershowitz, in our interview with him a couple weeks ago, said he thinks that the faculty and the administration has a responsibility to try to shape preferences of students. While Professor Sunstein, in our interview with him, was focused on students finding their own preferences. Do you think that the faculty or administration has a responsibility to guide students towards certain careers or against others? MM: I think we have a huge obligation to help students pursue what they want despite market pressures. But also help them understand what their options are. There are many people who have spent time in various work settings yet still haven’t encountered some of the opportunities that are available. Our obligation is to make sure that our students have every possible opportunity to see and explore the rich variety of possible career paths. Peers have a much bigger impact on student preferences than faculty. And it’s been an ongoing puzzle for me to figure out how to counter what are often misconceptions held by students — ‘unless you do this, you cannot do that.’ There’s no such thing, and the faculty has a limited ability to counter communications among students. When you have one sector of employers who are able to hire people two years in advance and pay twice or three times as much as other employers, that affects students’ preferences. So it is our obligation to absolutely try to make clear to people how there are many, many opportunities besides the ones that are structured by the outside market. TSM: President Obama and others have discussed the third year of law school being more clinical or practice-oriented. What is HLS’s role in that, given that Harvard will most likely continue to be training JDs, not paralegals? MM: There’s no shortage of demand for the graduates of Harvard Law School. And I don’t foresee there being a problem that would warrant our altering in some dramatic way what is our mission. I do think that the commitment that my predecessors and I have made to clinical education is wise. Building on the great work of Bob Clark and Elena Kagan, I have sustained our clinics and made resource commitments to them. That’s partly a reflection of student desire and these external debates that you’re describing. We were early to embrace clinical education and to build clinical programs, but for years only a minority of students would pursue it. Now 75% of our students do clinical work in their second or third years. We’ve also made commitments to international dimensions of the curriculum and opportunities, which many people also suggest as a way to spend a third year. And we’ve developed the programs of study in recognition that after the first and second year of law school there is something else to be done, which is to develop an expertise. The programs of study are one of the ways to signal that. What’s ironic is that at this moment in the world, when there is a crying need for more access to justice, there are people saying we have too many lawyers, which again I think is a misunderstanding of the situation. We don’t have too many lawyers—we need to develop new business models to make lawyers available to those who can’t afford to pay. At the same time that some people are saying, ‘Well, maybe you don’t need three years of legal education,’ employers are saying they want graduates of law schools who are practice-ready, who are informed about international dimensions, about business, who have experience in negotiation, and who have done clinical work. The standards keep going up and up and up, which tells me that the suggestions about making law school shorter are not based on the content of the program, they’re based on the financing. So that’s the puzzle, and I’ve been very much engaged in discussions with the bar, and with other law schools, about it. While there may not be immediate problems for our graduating students, I do think we have an obligation to be part of a conversation about the larger situation. TSM: You mention the curriculum reforms, including the international focus and others. Do you see this as an ongoing process? MM: Absolutely. So when I led the curriculum reform under the leadership of Dean Elena Kagan, I said that I would be willing to do this work on three conditions. 1. That there not be a report. Because if there’s an endpoint then we haven’t really understood what the reform process is. 2. That she make it one of her top priorities so that we be sure we be sure to actually accomplish something. 3. That we have a lot of food. And we did all of those things, and the faculty changed the curriculum in a big way for the first time in a hundred years. But it’s not over and we have currently underway a serious investigation about assessment and feedback and exploring different ways to strengthen what we do here and at the same time experiment. Like Terry Fisher’s CopyrightX class, which in many ways, of course, is part of the online revolution, but for purposes of the campus experience, the twenty students who have the chance to be the teaching fellows have the best education in copyright that’s imaginable. So we’re trying to think about ways that we can be a beacon for innovation in legal education globally while improving what goes on here. That’s one of the way’s we’re driving ongoing reforms. Another effort is to try to draw from lessons developed in the clinical courses that can spill back into the classroom courses. And another is exploring different ways in which technology can enhance what goes on in the classroom. We’re experimenting. TSM: Would you say the innovations you are currently thinking about are more in the space of grading and feedback and technology than the topics of the curriculum? MM: That may be right, but we are constantly thinking about all of them. As an example, very much reflecting conversations with people in the field, we have a strong sense that students who haven’t yet worked in business or the corporate world field may need basic courses in business and finance in addition to the corporations course, and so we’ve developed two or three different opportunities for students to get the basics. Whether it’s a module course or a mini-course. We’re exploring three or four more options of that nature for next year, very much with our ears to the ground, listening to what students say they need and what people in the outside world think. And then there are particular topics of interest to students and faculty, whether it’s financial regulation, large institutional reforms, or whether it’s animal law, particular topics, ongoing investigations. Should we be sure to offer something every year? Those kinds of questions are constantly addressed. TSM: Given the flexibility after the first year in the law school curriculum, there is a lot of pressure on that year because students are not guaranteed to be exposed to anything they don’t encounter in the first year. And first year professors have a lot of freedom in what and how they teach. In many ways is a wonderful thing, but it also leads to some randomness. For example, if you have professors who are very interested in access to justice and the justice gap in your first year, you might become engaged in and understand those issues. If you don’t, it might not come up at all in your first year courses. Is that a problem that you worry about? MM: There’s one other course that’s required of every student, which is a legal profession course, in the JD program, and that is a key component of that course. So that’s a specific response. But yes, we think about this a lot. That’s why David Wilkins does an address to all new students. That is why I do a lot of talking about this. We don’t mandate that everyone who teaches civil procedure cover access to justice. I think most do, however, and the faculty members in a field meet regularly to compare notes and ask ‘Is there something that we think is the core that everybody needs to know?’ Some people come to law school to have a career in business or to become an entrepreneur, and access to justice might not be as relevant to them. What we try to do is make everyone alert to issues. Even if you’re an entrepreneur you should know that there is an access to justice problem. And interestingly, on the specific issue of entrepreneurship and access to justice, several students who have been very involved in the iLab, the innovation lab of the university, with our support, with our encouragement, have actually pursued ways to use technology to enhance access to justice. So some of these things may come together after all. And our cyberclinic, at my request, undertook an access to justice initiative with the Massachusetts courts, that has been instrumental in helping people who don’t have legal representation navigate our court system. That turned out to be a fantastic project for students who may not have thought of access to justice as their priority. TSM: I fully agree. Though of course there are also legal barriers to the use of apps or other technology in the provision of legal services. MM: All true, but we need to be pushing that envelope. On the Record: Your background is in cyberlaw, intellectual property, net neutrality—in many senses the regulation of the digital world. What brought you to the issue of campaign finance reform and Congressional corruption? 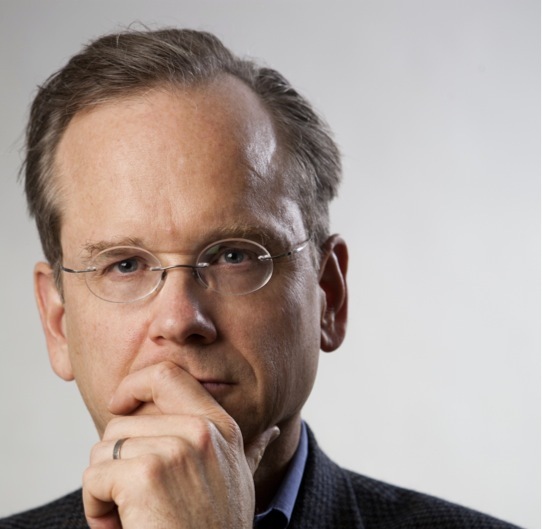 Lawrence Lessig: It wasn’t rocket science—it was a recognition that we weren’t going to make progress on sensible policies in those areas until we made progress addressing underlying corruption. And it wasn’t just esoteric issues like copyright or even Internet regulation. It was in the most important areas of policy as well—so we will not have sensible climate change legislation. Period. Until we address this fundamental corruption. We want to have health care policy that isn’t primarily driven by how to buy off the most powerful interests. So you pick your issue and we’re not going to have sane policy until we address this corruption. OTR: What does it mean to say that Congress is corrupt? LL: It doesn’t mean that Congress is taking bribes. Indeed, I think as my colleague Dennis [F.] Thompson puts it, this is the cleanest Congress in the history of Congress in that sense. But it means that they’ve allowed themselves to become dependent on an influence which is inconsistent with the intended dependence our Congress was supposed to have. So if the Framers conceived of a Congress depended upon the people alone, we’ve built a Congress dependent upon the funders of campaigns as well as upon the people. So it’s a competing dependency, and it’s also a conflicting dependency, because the funders are not the people, they don’t represent the people, they’re not in any sense representative. So that’s a corruption of the intended dependence, and in that sense it’s a corruption. OTR: Is this merely a matter of campaign finance reform, or are we talking about corruption in some broader sense? LL: Well, in the sense that I’m talking about corruption, if you change the way you funded campaigns—any of a range of ways to change the way we fund campaigns—would remove this type of conflicting dependency. And would therefore eliminate the kind of corruption I’m talking about. Now if you eliminate the kind of corruption I’m talking about, there will still be Randy Duke Cunninghams or William Jeffersons in the system, so there still will be people who commit bribery or other, more traditional forms of corruption, but I actually think our system can survive that kind of corruption quite well. The corruption we can’t survive is the in-plain-sight corruption that is the nature of our Congress right now. OTR: Given that it’s in plain sight, do you feel like most people understand the nature or the gravity of the problems you’re describing? OTR: Professor Marshall Ganz at the Harvard Kennedy School characterizes the challenges that movements or campaigns face as educational, motivational, and strategic challenges. Which would you say is the biggest obstacle to meaningful anti-corruption reform? OTR: Do you feel torn between maintaining the vision and idealism necessary to envision a post-corruption Congress and proposing the kinds of practical, tangible steps it will take to get there? LL: I’m convinced that we have to get there—there’s no choice of not getting there if we’re going to survive as a functioning democracy. And so I’m very practical about what are the things that have to happen. One of the hardest things is getting people to understand why moderate solutions just can’t work. You know there’s a big, quote, “campaign finance reform movement” that envisions a 20-year struggle that gets us to the place that we finally have enough votes to pass fundamental reform to the system. I think the 20-year struggle is certain to lose. Certain to lose. We’ve got to think about a fight that’s a kind of 3-year fight. We’ve got to figure out how to engineer a 3-year fight because that’s the only thing that could possibly win. And so when people hear that, they say, “oh I just don’t see anything on the horizon.” But we need to build something on the horizon. OTR: What does that 3-year fight look like? When in that process does the legislature get involved? LL: Oh so I mean a 3-year fight to produce the legislature that will pass the fundamental reform we’re talking about. So 2017, the first bill introduced in 2017, has got to be and so I think will be, legislation that has co-sponsors enough to pass both houses and be sent to the President. OTR: Recognizing the political and procedural posture of Congress, it seems infinitely easier to defeat a bill than to pass one. That said, what do you think the anti-corruption movement can learn from the defeat of the Stop Online Piracy Act (SOPA)? LL: They ought to learn two things—one optimistic and one pessimistic. The one that’s optimistic is how just rallying even 1% of the interested, relevant community is enough to completely overwhelm the Washington machine. So to see the way, basically, almost unanimous Congress flips to be almost unanimous the other way, merely because you get 100,000 telephone calls onto the Hill is really amazing. The pessimistic is we can’t change this by stopping anything, we can only change this by passing something. And so if it’s easy to stop it for us, it’s even easier for those who depend upon the system. And that’s the thing I think is really critical to keep in view. When we get close to winning, there’s an industry there that will fight like hell to save itself, and it happens to be the most effective policy-making industry that we have, the lobbyists, so it’s not going to be an easy fight. But that’s in some senses why it has to be a very fast one. OTR: How do you structure those three years to build the kind of momentum that can overcome that incredibly powerful lobbying force? LL: So we’ve been talking about a couple additions to the common strategies that are out there, such as raising money to support the organizations that have been pushing this issue. We’re talking about doing two and a half or three additional things. One thing we’re talking about is a kind of Super PAC to end all Super PACs. So we basically commissioned analysis from a very leading team of political analysts to calculate how much it will cost to win. What is that number, $1 billion? Half a billion dollars? The plan is, once you have that number in credible form, you go around to 50 people and Kickstart that number. And say, “if we get 49 others to give their share, will you give yours?” And that produces a bomb big enough to win. OTR: How does it win? LL: Well it wins in part by winning in seats around the country to produce enough reformers in Congress. But it also, you know it’s the nature of our current political system, you only win if you’ve got a President. So this issue has got to be salient in the next presidential election, which is hard because especially on the Democratic side, it’s not clear there’s any candidate who cares about this issue. So the second project we’ve been talking about is the New Hampshire rebellion. One thing that’s interesting about the New Hampshire Constitution is that it explicitly says the people of New Hampshire have an obligation to rebel. And so the idea is we’re bringing people into New Hampshire in these off years to say to New Hampire citizens, “you have an obligation to make this the issue the New Hampshire primary turns on.” And so we’ve got a gaggle of people interested in coming in, from Bill Bradley to Jason Alexander to Jack Abramoff to all sorts of different people who just talk to small groups of people and say, “you can save us if you make the issue about this and stop listening to the issues as they present it, just every time someone speaks you say to them, what would you do about the corruption in Washington?’” Then you can begin to see this at the Presidential level, open up an opportunity for Presidential candidates to say, “well here’s the way I distinguish myself from Hillary Clinton or any of the Republicans.” And so you prime a candidate who could also leverage the Super PAC to end all Super PACs. OTR: What role do lawyers play in perpetuating Congressional corruption? LL: Many of the lobbyists in the system are lawyers. I’m not sure it’s our particular responsibility, I think it’s a general citizenship responsibility. But maybe lawyers are more responsible because they’re in the best position to remind the world about why this is so critical and important, and how it ties to our history, but I want to get as many people involved in that role as possible— not just lawyers. OTR: What’s at stake here? LL: It’s hard to exaggerate. Because I think people are just not quite aware, not quite woken up to the fact, that we really have produced a structure of incentives that drives both parties to disable the government from its capacity to govern. We Democrats like to feel we’re better in this, but if you look at the pattern of bad behavior, you know the Republicans lead, but when the Democrats are in the same position, they copy precisely. Really, it was Republicans after Gingrich took over, who took the lead to be the 24/7 fundraising party, and the Democrats were like, “this is outrageous, this is destroying Congress,” but then of course that’s who they became. And the partisanship division, when you look at bad behavior with respect to judges, each new control of Congress is worse than the last, with progression up. It’s not like Democrats are good and Republicans are bad. And so what that means is that government can’t govern. Period. Can’t govern. If this were 1830, maybe that didn’t matter, the country could go on. But there are critical problems we have to govern about—from a tax code that makes some sense to climate change legislation to health care policy that doesn’t bankrupt the country to financial reform that actually reforms the financial system. There’s a whole range of things here that we can’t just not address. We don’t have a system to address them right now. So we’ve got to build that system, and if we don’t we’re going to pay the price of falling behind other countries that are capable of solving this problem. What’s scary about it, you know, is it’s not the 1990s anymore. It’s not like apparent growth and wealth of the country is going to keep everyone happy. We’re entering a period where there’s going to be a real sense of inequality growing and stagnation is going to be significant and salient to a lot of Americans, and this frustration with the failure of government to govern boils over. So we’ve got to get back to a place where government can actually address issues and do something about it and we won’t until we address this issue, period. To get involved with Harvard Rootstikers, an organization inspired and started by Professor Lessig to get money out of politics and restore government to the people, please contact harvardrootstrikers[at]gmail.com. The Socratic Method: As you may know, the Harvard Law Record has been online-only for a while and we are bringing back a print edition. We thought it would be interesting to talk about legal education and the role of Harvard Law School in American society with a number of professors. To start with, when and why did you decide to become a law professor? 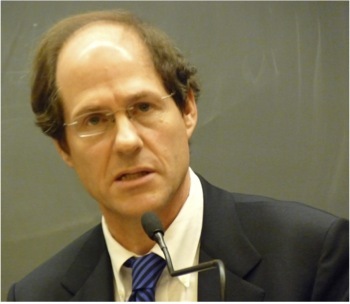 Cass Sunstein: I think it was when I was clerking for Justice Marshall, and I guess I thought that if I had a chance to become a law professor, it’s [would be a] great way to combine the ability to spend time thinking and reflecting while also, if you’re lucky, being able to make a contribution to what actually happens. There are multiple ways to combine the capacity for reflection with the ability to make a contribution, but the law professor one seemed most appealing to me. TSM: You are obviously someone who has made a contribution both within law schools and by being able to combine careers outside. Focusing on the law school part of it, how do you see your role shaping the career choices of your students? have someone who is keenly interested in immigration policy and there is some case in a course that raises an issue and it seems like the legal system really could do better than it is now doing, sometimes that will get people thinking that’s an avenue they’d like to go in. So I think the best some of us can do is [hope] our own interests and enthusiasms can connect with the interests and enthusiasms of others. TSM: Do you think there are avenues of influence other than by impacting the students who are going to graduate and do other things? CS: Well I do think that law professors have two principal jobs. One is to teach and the other is to do academic work. Even if some do other things, those are the principal jobs that you are lucky [to have]. So the teaching is of course one. I do think that academic research is exceptionally important. Sometimes it’s important in the immediate sense that there will be an idea that someone will run with who is in a position to run with it. It could be a judge in a court of appeals; it could be someone at the Environmental Protection Agency. And the other is that if academic work is really good it may have a long-term effect in helping to orient how people think. So there is no question that Justice Kagan’s essay, “Presidential Administration,” helps orient how people think about separation of powers. And John Hart Ely wrote this great book, “Democracy and Distrust,” that has defined how many think about Constitutional Law all over the world. My wife wrote a book coming out of Harvard Law School called “A Problem From Hell,” which has had a very big effect in helping to orient how people think about human rights and genocide. I think it’s important not to understate the power of the written word. So in addition to the teaching, there’s the research responsibility, which is absolutely central. TSM: Do you think the faculty, or the law school as an institution, has a responsibility towards the shape of the legal profession, given the way that so many legal resources are put towards such a small part of the population, whereas a vast amount of the population has very little access to lawyers or courts or legal resources? CS: I don’t feel like I’m a specialist in the allocation of legal resources, or on how law schools ought to think about that. I do think it’s obviously important that legal safeguards be available to all rather than few, so to that extent it’s part of the things that law schools should focus on. TSM: Harvard Law School recently introduced more admin law into the 1L curriculum. Is that something you supported, and do you think there are other changes that should be made on those kind of lines? CS: I wasn’t involved in that but I do think it’s an excellent idea. The practice of law very frequently involves regulatory administrative work, and it does now have a kind of foundational character for the legal profession. I know in Washington I saw closeup that a lot of the most important work of lawyers that really affects their clients and the country involves knowing how to interact with regulatory agencies that really are helping to set policies. In terms of other things, I do think that every law student in this period should graduate with a pretty solid understanding of economic analysis of law. That’s really important. If you don’t know the standard economic thinking about contract law, tort law, regulatory problems, you haven’t gotten the ideal legal education. So I don’t know whether there’s anything aside from freedom of choice, which economists like, to promote that understanding, but I do think that just like undergraduate education should involve some exposure to economics, to know the foundations of economic analysis is very good for every law student. TSM: There is an emerging national conversation about the duration of law schools and possibilities for transforming the third year. President Obama recently suggested abolishing the third year. Do you have any views on his suggestions or others being made for law school reform? CS: I don’t really have a view. In general, while I was in Washington, certainly, whatever the President thinks I tended to agree with. On legal education I don’t know what the right answer is. I do think there are some benefits to the third year. I think that many students benefit greatly from the chance to go into detail on some subjects, to diversify on some subjects. I think it is true that one of the things about life is that you may by serendipity be exposed to something that will really have a huge impact. And since a legal career for most people is decades, and law school, for anyone, is not very long, for many people that third year is really valuable. I think that is an important consideration. Though it is true that law school costs a lot of money and that some people are eager to get going faster. TSM: Was there an experience in your law school that guided you in a direction that you think you might not have gone in otherwise? CS: Yes, though I think it was in my second year. I took an administrative law course from Richard Stewart, who was then on the faculty, and that course had a huge impact on me – it completely changed my life – but it could easily have happened in the third year. TSM: Did he focus on economic analysis within administrative law? CS: Some, but not so much. I think what was so great about it, as I experienced it, was that it had some of the largeness and drama of Constitutional law, but in a way where the analysis was less abstract and more disciplined and where the human consequences were more palpable. So you might have a Constitutional case where the actual stakes are, at least in some Constitutional cases, not that clear. [They] often [are], but often not in Constitutional cases. In administrative law, it might be whether some rule that is going to have massive effects on human health or on the economy is going to be validated. So it seemed to me that where theory hit human life most excitingly was in administrative law. Undoubtedly not everyone thinks that. TSM: You are known for writing a lot and on a wide range. Do you have any ideas in mind about things that you would like to be writing about in the future that you haven’t started working on that might surprise people? CS: Maybe. There’s a conference we’re going to have here at Harvard this weekend on the brain and public policy. Neuroscientists have been learning so much about the brain and about how its functioning relates to human capacity for judgments both good and not so good. I think we’re going to see a lot in the next decade on policy implications of what we learn. And I do have one paper on this – it’s an early draft – but I expect to be working in this area [for] the next few years. TSM: Do you see this as something that’s maybe moderating some of the economic analysis or replacing some of it or some ideas within in? CS: It’s a great question. I think the behavioral economics, which continues to be something I’m keenly interested in, is kind of all of those things. It does show that the rational actor model has real problems. So it moderates the idea that people are excellent maximizers – they often aren’t. So the behavioral stuff does modify that. It’s continuous in the sense that it’s very much focused on trying to do the best predictions we can of consequences and trying to think about how can we go beyond – and I think this is the great achievement of economic analysis of law – how can we go beyond intuitions and hunches and try to be more disciplined. And behavioral economics is certainly like that. A lot of people who are interested in behavioral economics are also interested in the brain. Neuroeconomics is a field now. So in that sense, some of the interest in behavioral economics applies to the more recent interest in the brain. TSM: Another way that you personally and many other professors shape society beyond students is in writing books for a more popular audience. Do you think that is an important thing for law professors to be doing? CS: I think everyone should do what fits best their own first job responsibilities and second their own tastes and talents. So my favorite thing to do, I confess, is to teach and to write academic articles. I love teaching, I love writing a law review article. If I have a book with a university press, I love that. I do some popular writing also, and I very much enjoy that, but I do think a law school is basically an academic institution, and those are the things that the faculty should generally be focusing on. So I certainly wouldn’t want to say that law professors shouldn’t do non-academic writing. I do some, and I enjoy it, but my focus really is on articles that have a lot of footnotes. Note: This article first appeared in the September 16, 2013 print edition of the Harvard Law Record. Welcome to the all-new print edition of the Harvard Law Record. I, together with The Record staff, am excited to reintroduce this edition to the Harvard Law School campus. The Record is an historic and important publication. Founded in 1946, it is among the oldest law school newspapers in the United States. Authors published in its pages have included Supreme Court Justices (Chief Justice William Rehnquist); famous jurists (Judge Richard Posner); professors (Alan Dershowitz, Charles Ogletree); and esteemed public advocates (Ralph Nader). Among its most storied articles are a first draft of Ralph Nader’s eventual bestseller, Unsafe at Any Speed, and an exclusive interview with Cuban dictator Fidel Castro. While The Record has maintained an online presence over the last several years, we felt the time was right to reintroduce a print edition. We hope to use this paper as a platform to incite forward-thinking, helpful, and courteous debate and dialogue. We plan to explore a myriad of issues, relating to the campus specifically, to legal education more generally, and to the world. In order to make this endeavor successful, we need your help in two ways. • Write an article for either the print edition or the online edition (or both). The Record’s policy is to print anything submitted by students, faculty, or staff of Harvard Law School, so long as it complies with the law and at the discretion of the Editorial Board. This means your submissions are welcome, and your voice will be heard. • Participate in discussion online by submitting insightful comments on articles. The Record’s website can be accessed at http://www.hlrecord.org. • Share the debate beyond The Record’s website through social media. Like us on Facebook; follow us on Twitter. Second, we need your help producing this paper. There are many tasks involved, and at the moment we have few people to perform them. We need designers, copy editors, web designers, social media experts, and more. This is an easy way to get involved and make an impact here at HLS, and the time commitment is as much or as little as you like. To submit an article, get involved, make a suggestion, or comment on this newspaper, please contact me at editor[at]hlrecord.org. I look forward to hearing from all of you. The Socratic Method: Thanks so much for agreeing to talk to us. We thought, given all the conversation in America today about legal education it would be interesting to interview professors who have written and thoughts about it. So, when and why did you decide to become a law professor? 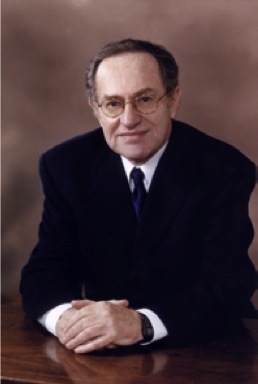 Alan Dershowitz: I decided to become a law professor when I was a student at Yale and all my teachers told me I should be a law professor – that, you know, I had the knack for teaching students and I had an inquiring mind – and I had a million articles and books I wanted to write. So far only I have only succeeded in writing thirty of them and probably thirty articles. But I love writing, I love teaching, and I love being able to influence students who will be practicing 50 years from now. When I look out at my students I see future presidents of the United States, future justices of the Supreme Court, great lawyers, journalists, leaders in every field. So a teacher has the remarkable ability to influence the future beyond her or her own lifetime. So for me teaching was the most natural thing. TSM: And do you see part of your role as a teacher as shaping the directions and the career path those students are likely to take? AD: I would like to think so, but I don’t think I’ve been particularly successful. Harvard Law students tend not to go into criminal law. In fact I start my class often by saying that statistically, a Harvard Law School graduate is more likely to become a criminal than a criminal lawyer. And that’s true. More of my students have gone on probably to commit crimes than to defend others who have committed crimes. So I think the law school can do more as an institution to encourage students to become criminal defense lawyers because criminal defense lawyers really staff the emergency rooms of our legal system. The people who need defense are the poorest and those most likely to be accused of crime, whether falsely or correctly. So I think we can do more to encourage our students. Now the realities of the profession make that difficult. The students graduate here with a quarter of a million dollars worth of debt. And they can’t pay that back going to work as criminal lawyers. They can pay that back going to work as corporate lawyers. TSM: What do you think Harvard could be doing better to make that choice easier for students? AD: First of all, we should figure out better ways of financially encouraging our students to have lower paying careers in the public interest. That’s the most important thing. Second, we should make sure we continue to recruit interesting and experienced practitioners of criminal law, who can really teach the students how to become criminal lawyers. AD: It’s not good enough. It’s not good enough. TSM: What do you think is lacking about it? AD: Well it helps for a few years. But it hasn’t had enough of an impact on shaping future careers. It’s not a problem limited to Harvard Law School. It’s true of every law school. It’s true of every business school, and of every professional school. We all have to do more to make jobs in the public interest more appealing for students. We also need more role models on the faculty. There are a few now. People like Charles Ogletree and Professor Sullivan and others who have been excellent criminal law practitioners who come to the faculty – and Nancy Gertner is another example – but we need more of that. TSM: And do you think this is a problem specific to Criminal Law? AD: I think it’s specific to public interest law, by which I mean criminal law, environmental law, civil rights, civil liberties, rights of women, rights of gays, I think anything that doesn’t have high paying…anything but corporate law. TSM: And whose responsibility do you think it is to shape how Harvard Law School can do a better job of this? AD: I think it’s the responsibility of the faculty and the administration and the financial aid office, the admissions committee. It’s a collective responsibility of the entire enterprise. But we’re always going to be at a slight conflict because our funding comes largely from large corporate law firms and large corporate executives and they’re not necessarily interested in promoting an ethos that is inconsistent with their own financial interests. TSM: What role do you think students can have in trying to push for this? AD: Students have to first vote with their feet. They have to take classes and pursue careers that they would really like to pursue. When I teach first year I ask my students at the beginning of the first year how many would like to practice criminal law. A large number of the students raise their hands. By the end of the third year the number is much, much lower – traditionally I have taught both in the first year and the third year – and the three years at the law school changes career plans a lot and so we have to do something to reverse that. We shouldn’t be changing students’ interests from public interest to private interest. It’s not we who do it alone – it’s the realities of the legal profession, of course. TSM: Do you have any thoughts on the recruitment processes like the Early Interview Program? AD: I think it’s a real problem that students’ careers are determined so early in their legal career. In my autobiography, which is coming out in October – Taking the Stand – I write about my own career choices and my own early career and how I decided not to go to work for big law firms, and in those days it was because big law firms engaged in discrimination based on religion and race and gender. That’s not any longer true, for the most part, but big law firms today don’t do enough to promote the public interest, and students can also have an impact if they act collectively on law firms and insist that they be allowed to work in the public interest while making a lot of money for their firms and that that not be counted against them in partnership decisions. TSM: What role do you think Harvard Law School has in the legal profession more generally in shaping this, because this seems to be a problem beyond just legal education? AD: No question. We have an enormous influence on the legal profession in general. We helped to change it when we admitted women back fifty years ago. That had a big impact on the nature of the legal profession. We helped to change it when we engaged in affirmative action programs. So we should never underestimate the impact we can have on the profession as a whole. Law firms still look to law schools for some guidance on ethical matters and general matters and I think we should take advantage of that. TSM: Do you think students’ career goals are really changing over time, or are students somewhat unrealistic when they come in, or do they think that saying they want to do public interest is how they get into Harvard Law School? AD: Well first of all, I like unrealistic students. I prefer unrealistic students. I was an unrealistic student. I didn’t want to fit into anybody’s pigeonhole. I think more students have to think of their lives in terms of somewhat riskier careers rather than following the traditional corporate law career. I wish we had more risk-takers. I wish we had more unrealistic students. We have too many realistic students. I think today the problem is too many students come into the law school with their career plans very clearly set and those mostly are students who want to follow the conventional path either into the corporations or the corporate law world, because that’s the easiest path – the path of least resistance. I think we need to have more risk takers, and that can be a function of the admissions committee in part, but we have to be concerned about students who are willing to tell the Admissions Office what they think the admissions office wants to hear. We don’t really do follow up. We don’t insist that if our students go into this law school based on a premise that they continue to operate on that premise. TSM: Do you see this moving in a better direction or a worse direction? One statistic is that I think record numbers did the Early Interview Program this past August. AD: Oh I think the trends are in the wrong direction. I think that the economy has pushed the trends in the wrong direction. When we have a thriving economy with many opportunities students are freer to take risks. And now it’s a little harder and therefore I can understand why the early process has come to dominate. I think that’s too bad. I think that recruitment and job seeking has played too great a role in the life of law students and I wish that weren’t the case. But I understand. I understand why. Realities are such that I’m not going to tell a student not to participate in the program. TSM: If you were advising someone considering applying to law school and wanting to work in the public interest, outside criminal defense, would you hesitate about advising them to go to law school because of this? AD: No, I still think law school gives the best and broadest education for a career in the public interest. Better than business school. Better than the Kennedy School. And better than graduate degree programs. I think a law degree opens up more career choice and it gives a broader education than the other educations that we’re talking about and so I would encourage – when in doubt to go law school rather than any of the other professional schools I think and I think careers prove that. Our graduates have simply been more successful in terms of broad career choices. Not more successful if you measure it just by how much money they make. But by every other measure our law school should be very proud of its graduates except to the extent of not enough of them going into public interest. TSM: What part of your autobiography, Taking the Stand, might be particularly interesting to current Harvard Law students? AD: Well, I wrote the book for current Harvard Law students and for current law students all over the country. I wrote the book to provide them an alternate career path. To show that there are other ways of having a good life beyond the corporate law firm. I’ve been very very lucky. I’ve not only had a career in teaching, I’ve had a full career as a litigator. I’ve litigated thirty-six murder cases. I’ve done hundreds of appeals and I’ve written thirty books and hundreds of articles and I’ve been able to do all of those things without working for a corporate law firm and I was able to pay off my debts. And I have been able to have a good career financially, academically, and I think all of our students who graduate from Harvard Law School can do that. But you have to be willing to take some risks and you have to be willing to do it on your own, and not count on somebody else to make your career and I think that’s important for more of our students to go off on their own and do exciting and interesting things and I hope my book inspires people to do that. I was inspired as a lawyer by books written by Ed Bennett Williams and other lawyers – Clarence Darrow – and other lawyers, and my hope is that my book will inspire some generations of young people to go into law but to go into a law career other than corporate law. That’s my goal. TSM: It seems to me that the major problem in the legal profession is that so many people don’t have access to any legal resources whatsoever. Criminal defense, but all kinds of other ones as well. And a few more Harvard Law students going into criminal law wouldn’t solve the structural problem. AD: No. Look, we are a monopoly. You have to be a lawyer to go into court. We’re a monopoly. And every other monopoly has an obligation to service everybody. Doctors are a monopoly and they have an obligation to allow anybody into their emergency wards. As a legal profession we should start on the premise that everybody is entitled to a lawyer above a certain level of seriousness of their case. It needn’t only be criminal but we have to start with criminal. The promise of Gideon v. Wainwright has not been fulfilled. But even in serious cases involving child custody, everybody should have a lawyer. In cases involving being dispossessed from one’s home, or the bank taking your home because you default on a mortgage, there should be lawyers. And we the legal profession have an obligation to provide them. TSM: Do you see any changes, perhaps to the 1L curriculum that could be made promoting this? How about the inclusion of social justice issues within the curriculum? AD: I think that no student should graduate Harvard Law School without having had some social justice component in their education. And some of my friends and former students are trying to raise money for a chair in my name, called the Alan Dershowitz Repairing the World Chair. And it would be a chair that would be devoted to social justice because that’s what my life has hopefully been devoted to. So I’m hoping if that were to happen it would be an enduring chair that would focus on social justice for the future. I think social justice is the most fundamental component of our legal system and we have to figure out a better way of making the law reflect justice rather than, as Oliver Holmes once said many years ago, the law has nothing to do with justice. He was wrong and we have to correct him. The law must have something to do with justice. Professor Greiner has become a powerful advocate for statistical analysis of our judicial system. Here, he shares how nerds could pull the legal profession out of the 1930s. On the Record: What does it mean to discuss America’s justice gap? James Greiner: There are a whole lot of problems that individuals of all stripes face. Some subset of those problems are called justiciable problems. The solutions to them are, at least in part, established by formal law. Some subset of those people choose to try to do something about it. Not all of them. Some subset of those people go to formal legal institutions, because some other subset of those people go to churches, local elders, or other locally respected people. For the set of people that attempt to either access formal legal institutions or are required to access those institutions because they are formally brought by being sued in an eviction or debt collection process, for example, the question is can they address or solve the problem in the way formal law provides on its merits? The problem is things happen to them when they get into the formal legal system that they don’t completely understand or that doesn’t reflect their legitimate view of the situation. OTR: So, in many ways, the system is just too complicated? JG: Yes. Sometimes administrative agencies have the same characteristics. Sometimes people don’t know where they are, or what the formal law is. Sometimes they know precisely where they are, precisely what the formal law is, and they have the evidence in hand to do what it is that they need to do, and then they, for whatever reason, crumble and fall apart when they arrive at the legal institution because no one has prepared them and they are not prepared to negotiate. OTR: And how do you believe that greater statistical analyses or, as you put it, a “nerd,” can serve to close that justice gap? JG: One of the ways I’ve tried to startle legal aid providers and people who think they’re doing good things—and I think they’re doing good things too—is to ask them to rate their enthusiasm for the following propositions. Proposition one is I’m going to double your budget. On a scale of one to ten, they say twenty. They are very, very excited about doubling their budget. Proposition two is I’m going to double your efficiency or your output. They say maybe, maybe not. They’re less enthusiastic. Proposition three is could you rate your enthusiasm if I’m able to double your outcomes—the favorability or the effectiveness of the outcomes experienced by your service population. They’re hesitant about three, and usually less enthusiastic than they are about one. OTR: What do you take away from that survey, from their responses to those propositions? JG: The level of enthusiasm for one and three—three ought to be at least as high as one, and perhaps higher, because doubling a budget doesn’t mean you’re going to do anything besides create more potential inefficiencies in the system. So, among the things quantitative analysis can do is create much more efficiency and reveal, perhaps unpleasantly, practices that are inefficient or ineffective. OTR: What kinds of practices are you referring to? JG: For example, do we need to have a full attorney-client relationship in every case in a particular practice, like housing or summary eviction? Or could we get away with a lawyer for a day program, because a lawyer-for-a-day can serve a lot more people more cheaply? By conducting a randomized analysis to the relative effectiveness of a lawyer-for-a-day program and a full representation program, you can look at costs and benefits. More interestingly, suppose it is the case that you’re providing high representation in lawyer-for-the-day and your full representation program, and yet the clients are experiencing roughly identical outcomes in these two programs, the one thing you know is you can create an efficient system serving a lot more people. OTR: Is it just about the level of representation for particular clients? JG: No, you’ve also learned something critical about the system itself. One might hypothesize that one barrier is the requirement that you must file an answer, which a lawyer-for-the-day program wouldn’t help with. Another hypothesis is that it’s what happens after the court date is what matters—people can’t pay or keep up with behavioral conditions, for example. But if ￼you do the test I just articulated and find out that full representation and lawyer-for-a-day are equally effective, then you know that neither of those two access points is the really critical point in the process. It’s in fact the court proceeding where the lawyer is, because you’ve provided services there and you got just as much as you got out of the full representation model which is supposed to help with all of these portions of the proceeding. OTR: Why do you think legal services providers are so reluctant to evaluate their programs and outcomes through these statistical lenses? OTR: You’ve suggested that one of those potential improvements involves finding the “right” clients-what does that mean? JG: If you think about it, what kind of client needs your help the most as a legal services provider? Probably somebody who cannot advocate for herself very well, who’s not tapped into social networks, who doesn’t know how to find resources that could help her with her problem, who doesn’t know how to take steps to solve the nonlegal problems in her life, and who probably can’t speak very well on her own behalf in terms of fighting through a system. Even if you’re phone is ringing too often, it may be that the wrong kind of people are calling you. Yes, they’re all eligible for your services in the sense that they’re income- and asset-eligible and they can’t afford to hire attorneys, they have legal problems, that’s right. But the mere fact that they call you may be prima facie evidence that they are the set of folks you may be able to get away with providing something less to, like client education or pro se assistance materials or something else for them that will allow them to succeed or fail less miserably, than the set of people who can’t find you unless you go find them. OTR: What would be the social implications of thinking about the provision of legal services using more statistical analysis? JG: Well, it allows for an upstream intervention, where if you intervene there, you might be able to prevent downstream problems—it’s a vaccination model rather than an emergency model. All the evidence from the medical profession suggests that, although you have to give vaccines to everybody, the sum total of getting vaccines done as opposed to treating people with chronic infectious diseases ends up saving a lot of money that way and making a lot of people a lot happier. JG: There are a lot of aspects to that. One is addressing problems as they arise, instead of through prevention. If law is to medicine, what is the public health analog to law? What is the legal aspect of preventing legal problems from arising? Public health is a separate study—it’s not located in medical schools. OTR: How did that public health perspective change doctors’ approach to medicine? JG: Well, we didn’t always think of medicine as a science. Medicine used to be a profession in the sense of an impressionistic profession where people primarily relied on their own experiences to figure out what worked and what didn’t, or at least they relied on their own experiences to decide what to recommend to patients. And then, in the 1930s, ‘40s, and ‘50s, the leading, more academically inclined medical folks decided they would no longer use stature and prestige to define what was good medical practice. Instead they would use randomized control trials as their gold standard for figuring out what was good medical practice, especially with relating to drug treatment and new medical devices. OTR: How did that change take place? JG: There was a titanic social struggle. Medicine was an “I know what’s best because I’ve done it a lot” type profession. It became less so because of deliberate battles, social and academic battles and articles being written back and forth. And many medical providers hated it because, among other things, it suggested statisticians were going to tell them how to practice medicine. And they were going to become less and less purveyors of judgment about how to adapt something to a particular situation and more and more repositories of statistical studies. They were no longer exercising a kind of judgment, as opposed to a more “if-then” knowledge. JG: The battle over who gets to decide what good practices are, that’s a political battle, that’s a social battle. And medicine fought—and in some senses is still fighting—a social battle. A really heavy battle, the big guns were hauled out in the ‘30s, ‘40s, and ‘50s. And some sort of victory flag was staked in the ground with the Food and Drug Administration Act, which said we’re going to have to have adequate and well-controlled studies before you’re allowed to market drugs. And that language came to be interpreted as requiring randomized trials. Correct ideas don’t take over the world because they’re correct. They take over the world because people went out in the world and persuaded everybody else. OTR: What lessons can the legal movement you’re proposing learn from the medical movement of the 1930s, ‘40s, and ‘50s? JG: There are too many examples from the medical profession of drugs that very prestigious, highly knowledgeable, extremely smart medical doctors thought, “this is the right drug.” And then they went into randomized evaluation and they were found either to be no better than a preexisting drug or no better than no treatment at all or flat out worse. And the frequency with which that happens in the medical profession should give lawyers a lesson. OTR: I’m looking at a figure from 2010 that says one-third of all law school grads were unable to find legal employment upon graduating. This is despite the wide gaps in the provision of legal services that we’ve been discussing. What’s going on there? JG: It’s hard to know for sure. It’s not that we’re producing too many legal professionals, it’s that we’re producing the wrong kind of legal professionals. The state of Washington recently began the process, the state of New York just began to follow, of creating an explicit, non-lawyer legal practitioner—the equivalent of a nurse practitioner or a nurse. The medical profession, again, not all aspects of it are perfect, but it’s realized it can no longer operate if every time you need a prescription you must talk to an M.D., even if what you have is obviously a sinus infection. That’s not what happens any more. And so the legal profession needs to be creating these non-J.D. legal professionals that require a whole lot less expensive school and a whole lot less expensive bar dues and cost of business type arrangements. And not overproduce J.D.s, who then are saddled with loans, to where finding a $50,000 a year job is not going to help them with their loans. So the $120,000 a year job is the only way they’re going to pay them back. OTR: I’m guessing the legal profession has not been receptive to the idea of a legal para-professional? JG: No, the idea of para-professionals really strikes at the heart of our professional cartel, which is not a really effective cartel because we’ve got too many people. That’s the classic way cartels break down, when there are too many providers and they lower prices. That hasn’t happened. So there seem to be structural market failures wrapped up in that. OTR: Lastly, what role do you think law schools can play in cultivating that movement or in offering complementary solutions to the problems you’re describing? JG: Law students have guts. Law students have inquisitive minds. They’re not afraid to try new things. Law schools, especially law school clinics, can lead the way on this stuff and they already have. When I started this push, very few legal aid providers would talk to me at all, and no one wanted to do studies. What got the whole thing off the ground was two law school clinics here at Harvard—one doing social security representation, the Legal Services Center, and the other was the Harvard Legal Aid Bureau. Then, when I’d start to talk to legal aid providers, they’d say “nobody would want to do that it’s impossible to do,” and I’d say, “do you know these people at Harvard Law School who are working in the clinics?” The fact that the law students were willing to do this stuff—HLAB is student run—they were the ones with the guts to step up and do it. They can lead the way by showing by example what can be done and what can be discovered. The total area of Austin North’s blackboards rivaled the square mileage of most Midwestern counties; nonetheless, Fenno’s Torts prof was struggling to find a sliver of space on which to write some nonsense about incentives or something. Fenno wasn’t listening—no, it was the rest of the blackboard that had his full attention. That glorious 98 percent of the board was occupied by announcements for Free Lunch. The only thing justifying the existence (and funding) of Student Organizations. It is known that Lunch motivates a greater percentage of a law student’s actions than the next three motivators (fear of failure, a self-image tied totally to academic performance, and the DT’s) combined. This fact, combined with most students’ (at best) ambivalence towards any opportunity for bona fide intellectual or social growth, means that Student Orgs must funnel the vast majority of their meager funding into foodstuffs. The Law School itself is aware of this, of course, but maintains funding as a way to covertly subsidize the crucial Lunch, thereby avoiding the riots that would inevitably ensue if the student population were to purchase Hark Food by the pound more than three (3) Lunches per week. Some poor, cold-called soul was stumbling over some gibberish involving gratuitous use of “ex ante” while Fenno picked through the rainbow of chalk. Half of it was old news already, advertising Lunches that had come and gone; between that and trying to keep all of the “LAW AND ______” (insert: “gender,” “horticulture,” “philately”) groups straight, Fenno required maximum concentration. One must exercise caution in choosing your Lunch. It is a common mistake to choose an event based on topic group affiliation; such a route is to be avoided. Decisions should instead be made along the three relevant categories: “Lunch” means “Pizza,” and generally connotes lukewarm and sober Pinocchio’s; best for hangovers or similar need-for-congealed-grease-on-bread situations. “Non-Pizza Lunch,” is for the gamblers among us; likely contains soggy burritos or bland sandwiches, but there’s a non-zero chance of cookie. “Thai Food” is the holy grail, for reasons not requiring explication. Fenno was walking headed for a back-row seat in “Hands Off My Jenny: Invert-Error Recalls and the Supreme Court’s Takings Jurisprudence,” burritos in tow, when he bumped into Chevy. The third-year gave him a glance. “That’s… not what I meant.” Upon taking note of the quizzical look on Fenno’s face, Chevy felt something that might have been wistfulness. Or a headache. Either way, he just muttered, “Ah, youth.” After a quick side-to-side glance, he slipped an unopened foil pan marked “CHICKN” into a Coop bag and walked out the side door. Fenno was stunned by this complete disregard for basic human courtesy. Then he looked down at his burrito. Up at the screen, where somebody was prepping powerpoint slides covering, in laborious detail, failure-points in various printing techniques. Over to the empty chair. Sideways to the door. Freedom. Out in the hallway, Fenno saw Chevy leaning up against the wall, rice caught in his stubble. The elder gave the younger a brief, prideful nod, then ducked into the stairwell. Fenno found a quiet bench outside, and thought that he’d never tasted chicken so tender. Fenno glanced up at Chevy, who had just strolled into the common room with his demanding-face on. The two had met a few weeks back, when Fenno had sacrificed knee-skin to save Chevy from an oncoming Lesley skater; since then, the elder Chevy (sleepwalking through his last year) had taken the 1L under his wing. Chevy grimaced, grabbed Fenno’s phone off the couch, and started tapping away. Chevy tossed the phone back to Fenno and wandered down the hallway in search of potable. The first-year looked at his phone, which was displaying the purchase page for the $0.98 Guide app. The other suggested apps on the page were all at least $0.99, so Fenno took the plunge. Fenno searched for “The Kong.” The entry lit up his screen. The place where every night seems to end. Teams of Cambridge’s finest scientific minds continue to study the strange, gravity-like pull of The Kong, a pull fully active only after 11:30 or so, but each time they end up so hammered that they have to repeat their research again the next night. The current team has been working seven nights a week since 2001; as of this writing, they have made no progress. Fenno tapped the “Layout” link. Three floors. The ground-floor restaurant is a fine place to punish yourself for any wrongs you have/will have committed in any present, past, or future life. Kong “food” is currently considered an illegal torture device by every nation except North Korea and the United States. Try the wontons. The second floor, best as anyone can tell, is devoted solely to standing in line for the third floor. While you wait, be sure to enjoy a Scorpion Bowl or five—the contents of the Bowl remain a mystery, though in recent times a consensus has formed that the recipe involves some combination of turpentine and Juicy Juice. The third floor had its own sub-entry. You might have thought hell was underground. Think again. The Kong’s third floor is the perfect place to ease your burden if you tire of carrying your dignity around all day. The strange, viscous substance coating the floor is the envy of defense contractors around the globe, all of whom are seeking a more tightly gripping polymer with which to bind warheads to missiles. The third floor remains Harvard Square’s premier destination for listening to horrid music while watching people “dance” like they’re trying to rid themselves of subcutaneous parasites. Highly recommended. 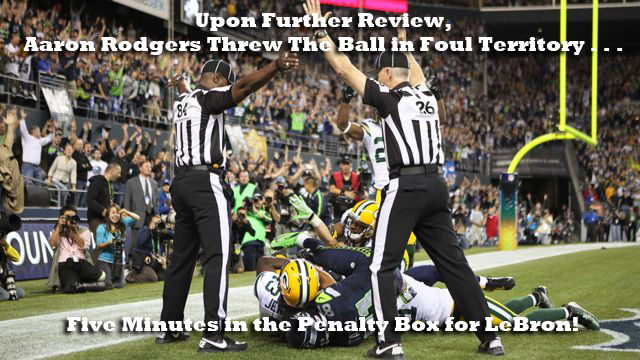 Fenno pulled up the “Bar Review” page next. Nine out of ten people who own Two and a Half Men on DVD agree that the “Bar Review” name is still a hilarious pun. The HL Central-run event regularly devolves into a mad scramble for precious drink tickets, which confer upon their holders the power to not bother tipping bartenders. A must-attend for anyone who has to sit through Torts. Next he tried searching “HL Central,” but the Guide only returned an “ENTRY NOT FOUND” page. Fenno shrugged. Chevy was right: he had to go to the Kong tonight.